Suzie, my diabetic Springer spaniel, awakened me around four in the morning. Efforts to fall back asleep were futile. 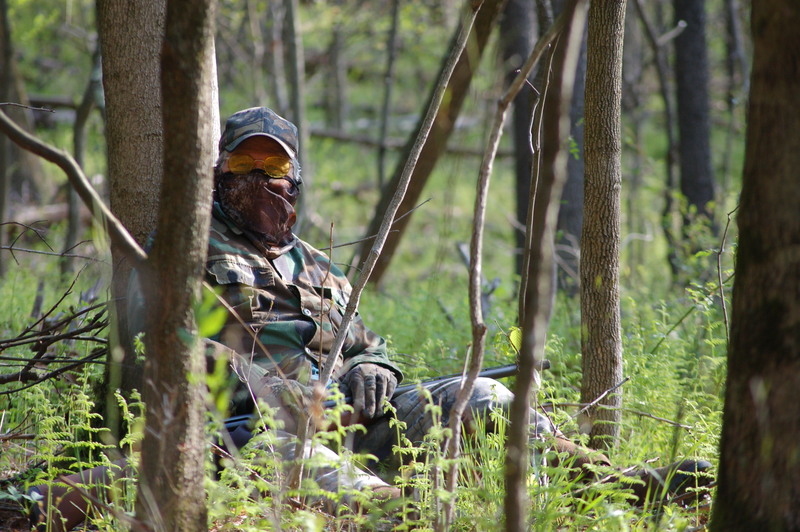 I signes an executive order to myself…GET UP and head for the woods! The skies were emmersed with darkened and heavy clouds and a brisk wind forced me to wish I had worn a little extra clothing. My walk wasn’t long when I heard that increasingly rare sound of a woodcock “sniping” his mating call. I miss hearing those call. I stopped to listen as the sky lightened a bit. The bird would ascend making a certain whisting call. Shortly, he would decend making a completelydifferent call until he landed close to begin making the raucous snipe-like call. On one of his decnds I actually could see him until he was almoost on me. 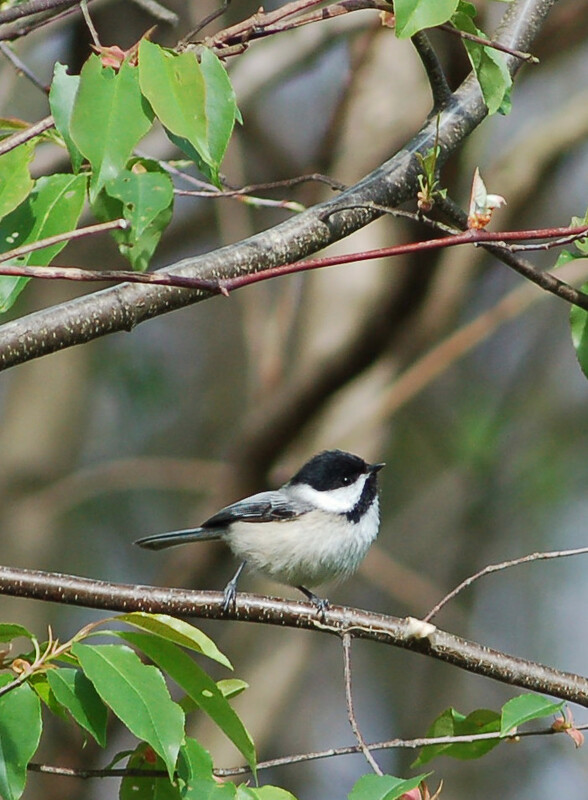 The bird detoured twenty feet, landed and began calling. They are an interesting little bird! I heard two very distant gobbles as the wind diluted the volume. 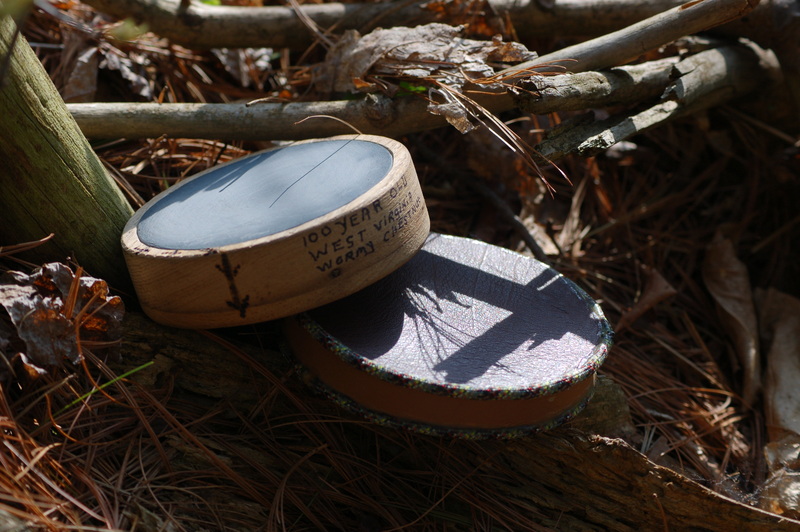 I approcahed a listening area and failed to hear any gobblers. 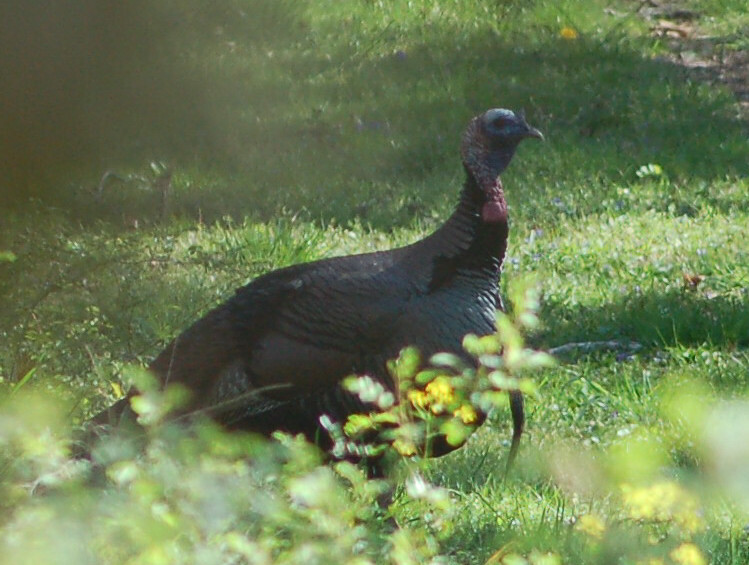 Maybe the gobbles were absent this morning, or maybe, the lusty calls were out of my hearing. I enetered a pine area and watched a great-horned owl exit soon to be chased by angry crows. 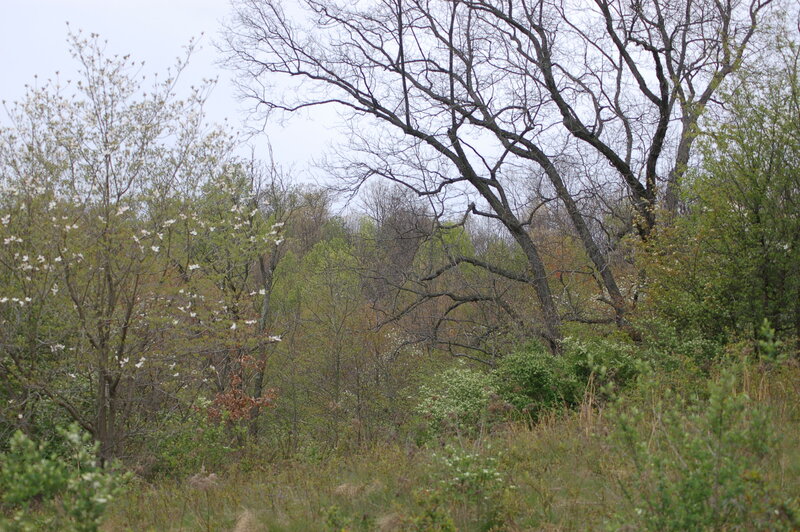 I saw , at least, four different white “flags” of deer in the gray and dismal woodlands. 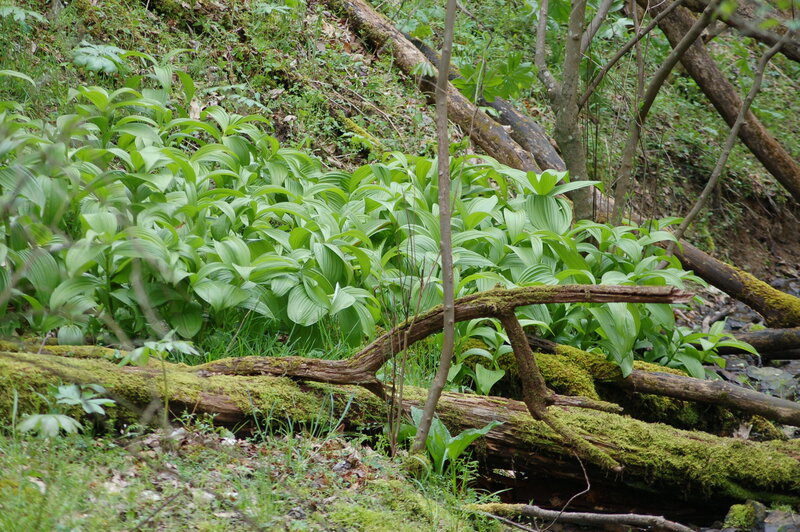 I heard and saw one grouse flying from an old fallen log. I saw a Cooper’s hawk and a red-tailed hawk too. The dogwood blossoms were early to bloom this spring for the warm weather that had become the norm over March and most of April. 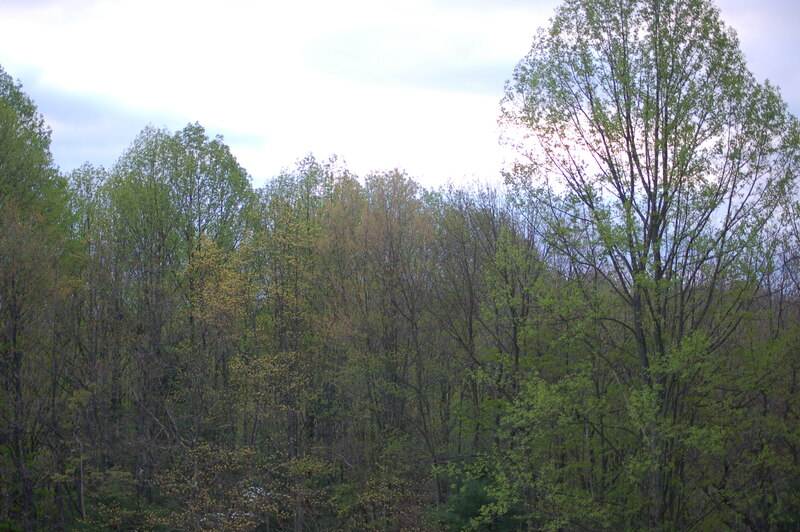 The leaves were rapidly emerging too…as are the allegies! 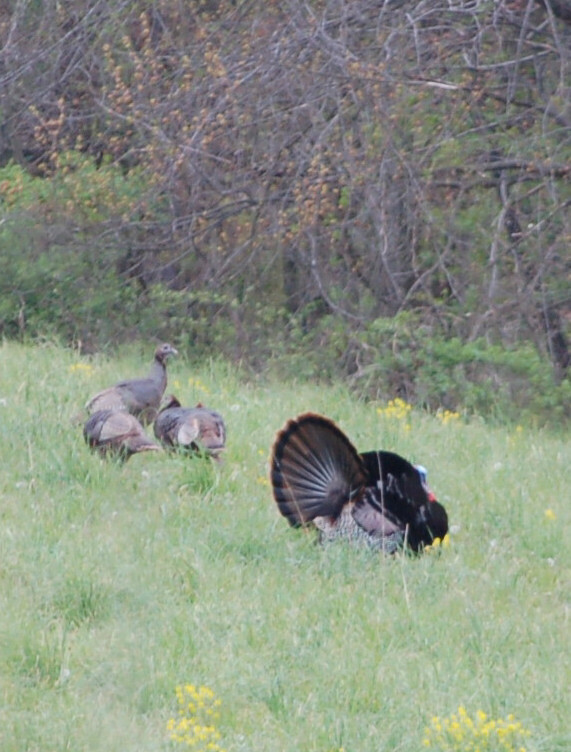 Before the morning was completed I saw four gobblers crossing near to a house. Later, I saw a struuting tom with 4-5 hens. While traveling home I saw three longbeards with one hen. I am wondering if hens are going to be an issue while hunting. You can bet on it! 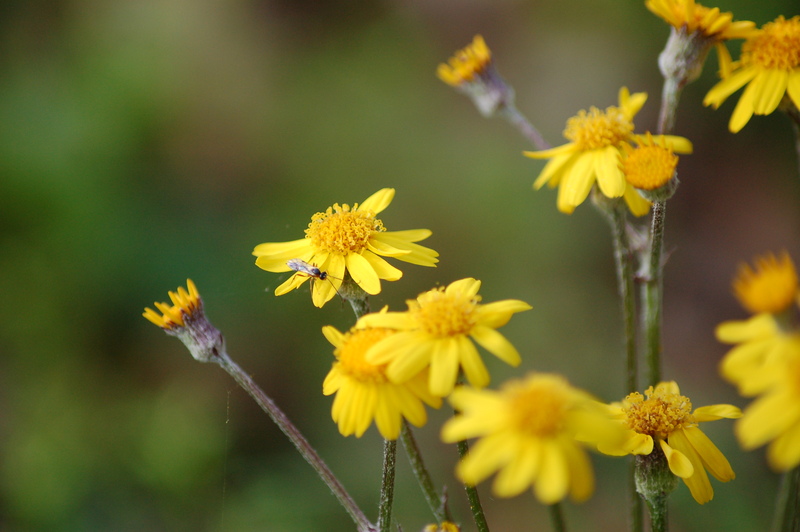 Later I took some photos of wildflowers I have growing around my creek area. 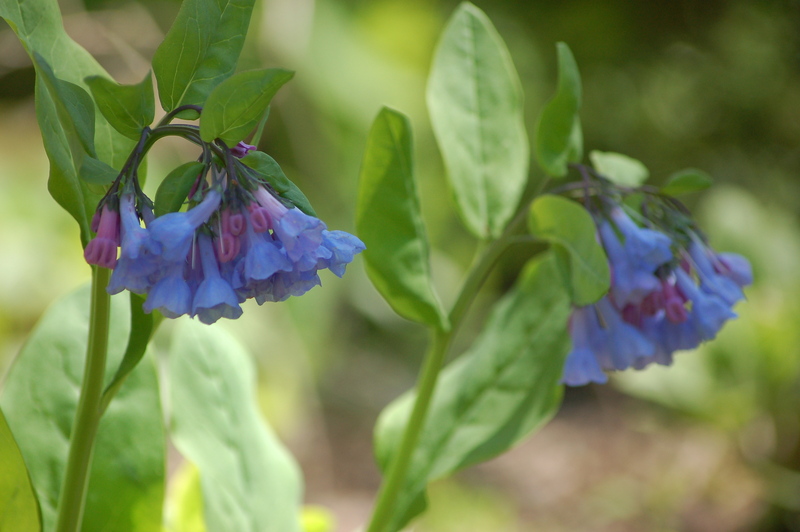 The Virginia Bluebells are really out in force as are the Harebell flowers. 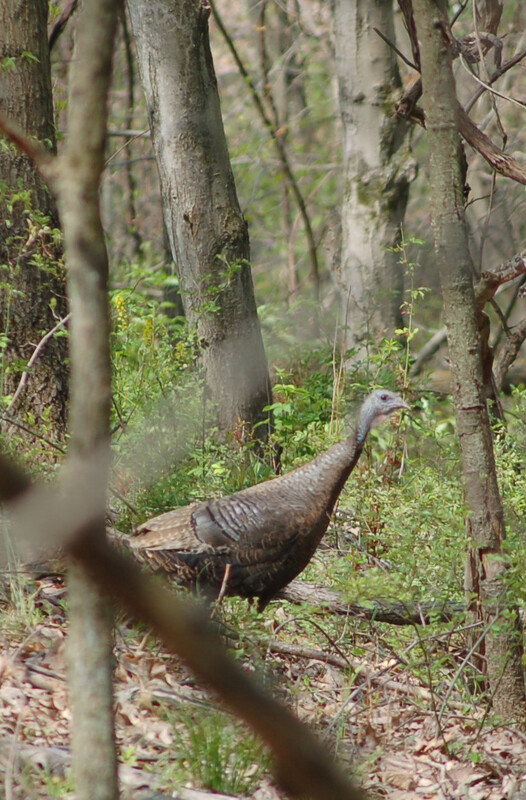 Tomorrow, Bob Miller (my step-father) and I will try my luck with gobbler chasing. some quality time with nature. I elected to fish a mile long section of Cherry Run that isn’t stocked with trout. This decision was made for a couple of reasons. I have many memories of this section as a boy. 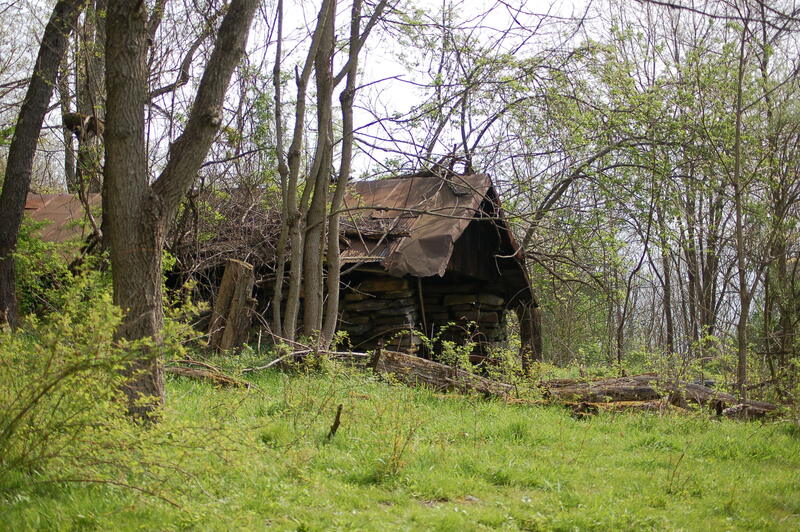 My great Uncle Charly Yount and Great Aunt Hazel owned a small farm here. I have memories that I cherish. Oh, how I wish I could spend a day with these two… the salt of the earth! A corn field stood here many years ago. Today small trees cover the field. We would come here for great home-cooked meals. I helped butcher chickens here. 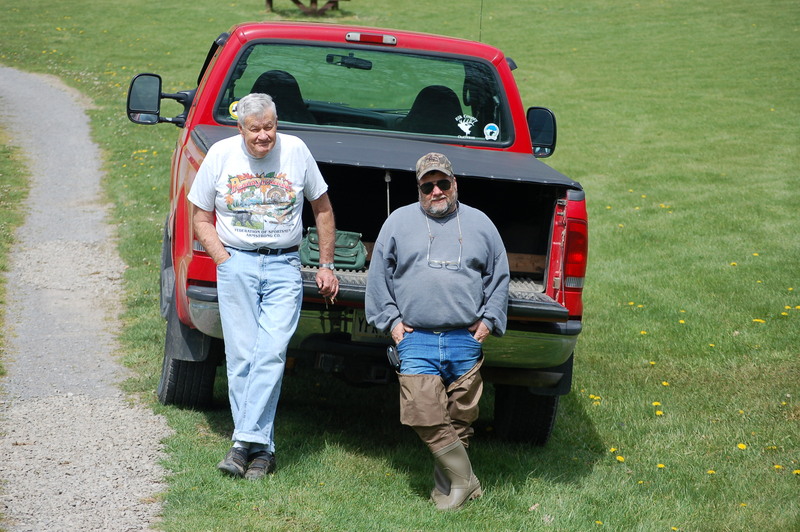 My dad and I gathered ice along the creek to make home-made ice cream. These two wonderful people died around 1975. Like I said, I sure would love top spend a day with them again!! I fished this section as a boy enjoying many hours catching chubs and a few trout. Today, I cast a line into this section maybe eight times. 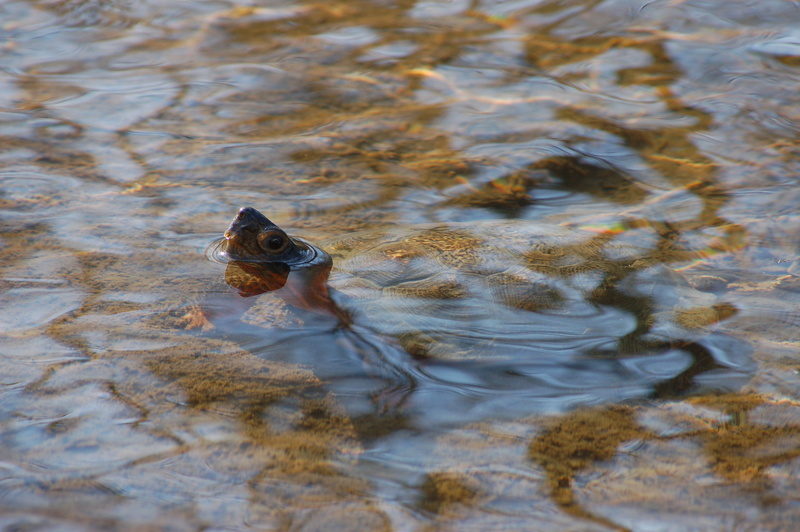 The water was clear and low. I could see no trout, but seriously I just wanted to walk along and remember. 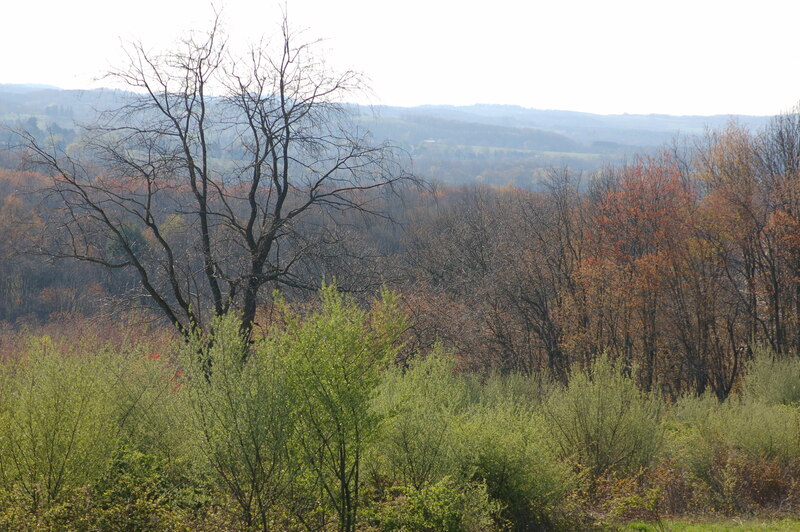 I returned to my vehicle by walking higher up the hill through the woods again searching my thoughts. I drove south and parked again. 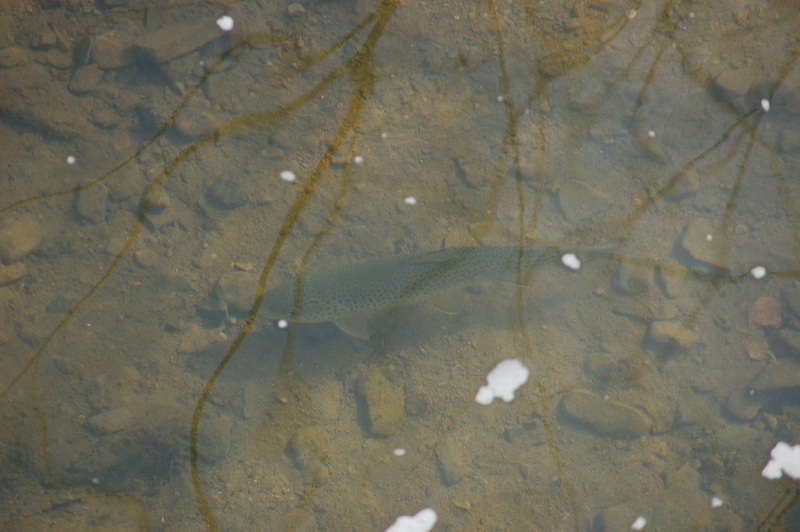 here I could see a couple of brown trout. I caught both and released them. One, however, went belly up so I retreived it and dropped the fish off at my relatives for consumption. 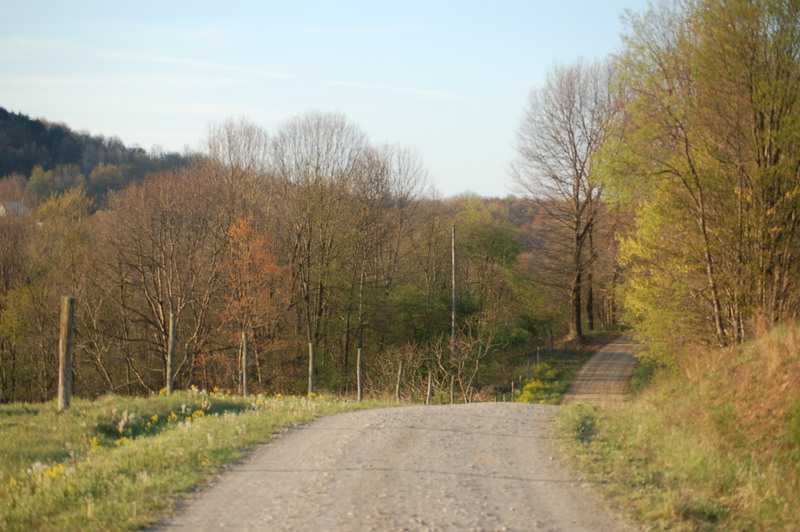 The weather was rapidly warming as I walked about the steep hill destined for stripping for coal. I dug up some Hepitica; ferns and Sweet William to replant at home. 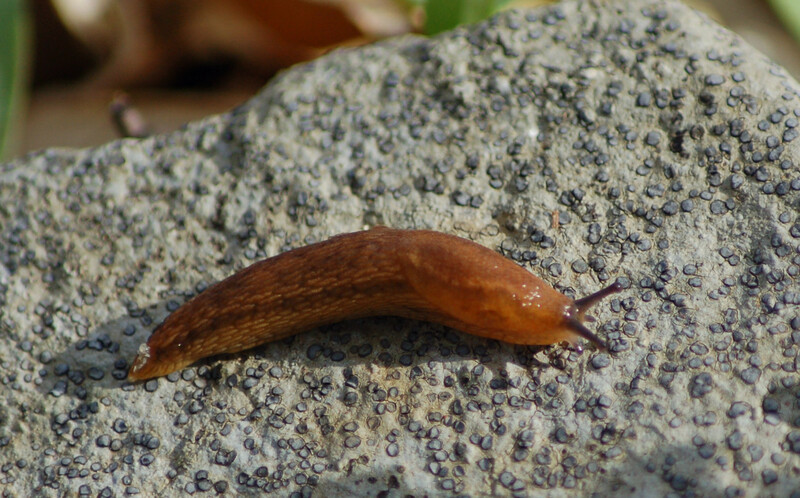 I managed to see some critters today too! 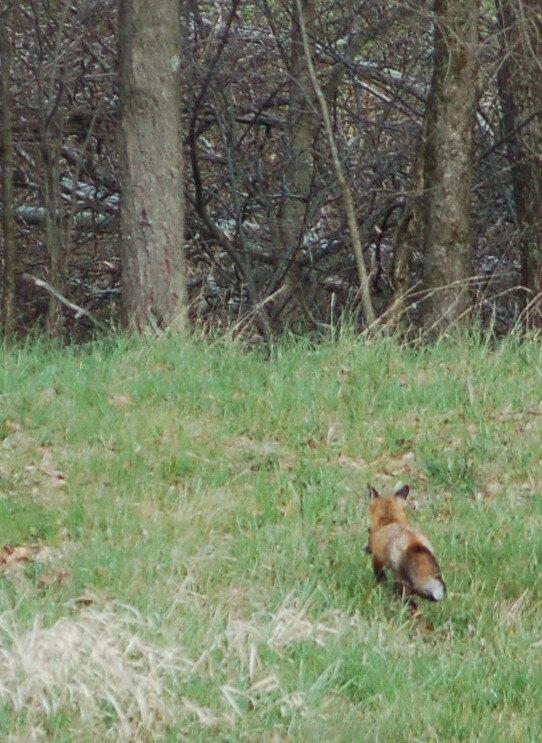 I saw mockingbirds, 1 deer; a red fox; Wood Turtle (Commonly known as a Land Turtle locally.) three groups of turkeys; squirrels; pileated woodpecker; towhees; mallards; wood ducks; geese and many small birds. As the evening approached I spent two hours riding bike on the Rails To trails from Kittanning, Pennsylvania to Rosston. 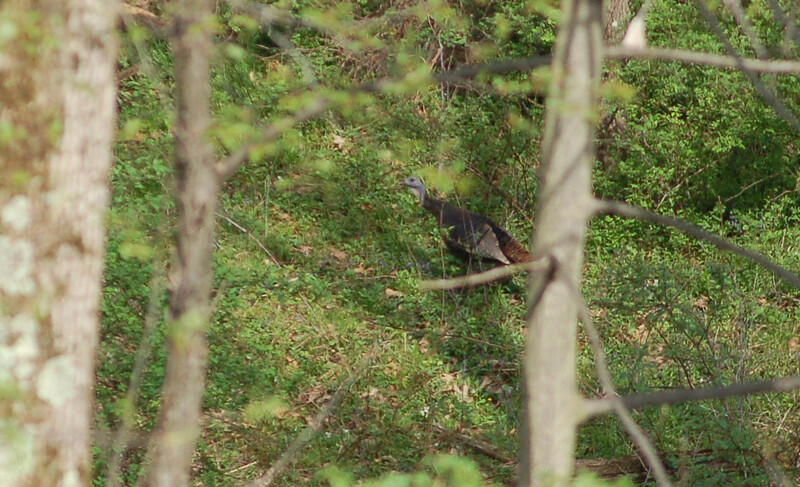 I left later than I would normally to listen for gobblers. 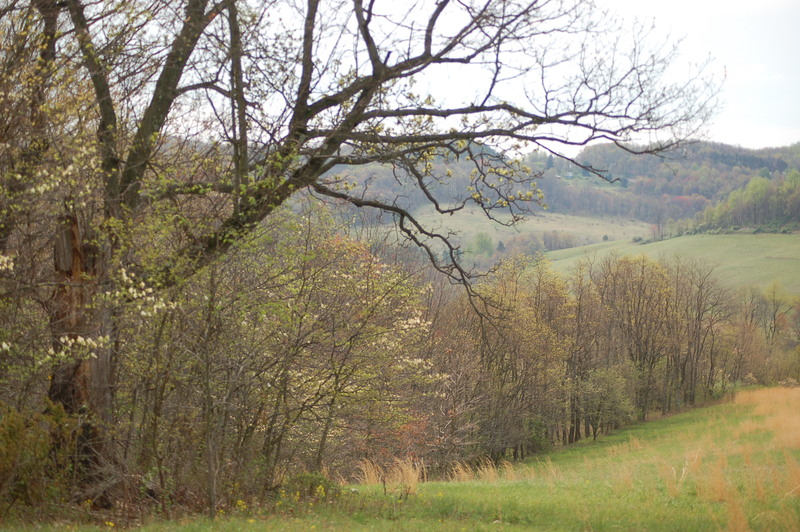 However, a walk on a beautiful morning was my primary reason for heading to State Game Lands 247 near Center Hill, Pennsylvania. I wanted to further test my clothes against ticks too. I had sprayed an ingredient on them about a month ago and was anxious to see how many ticks would be walking about my clothes. I removed 8 ticks! Not bad since normally I would have killed anywhere from 20 to 30 in that same time frame. Ticks are supposed to die if they are on the sprayed clothes, but I didn’t have the patience. I picked them off and eliminated the little pests!!! many more, apparently, had been repelled too! 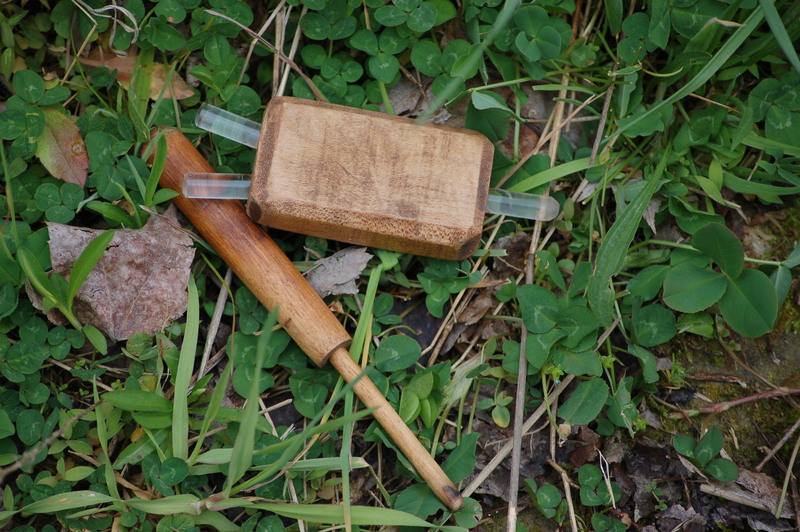 I approached a pond observing a lone “watch” goose when the gobbling began higher on the hill. The goose was watching for predators since a nest was nearby. 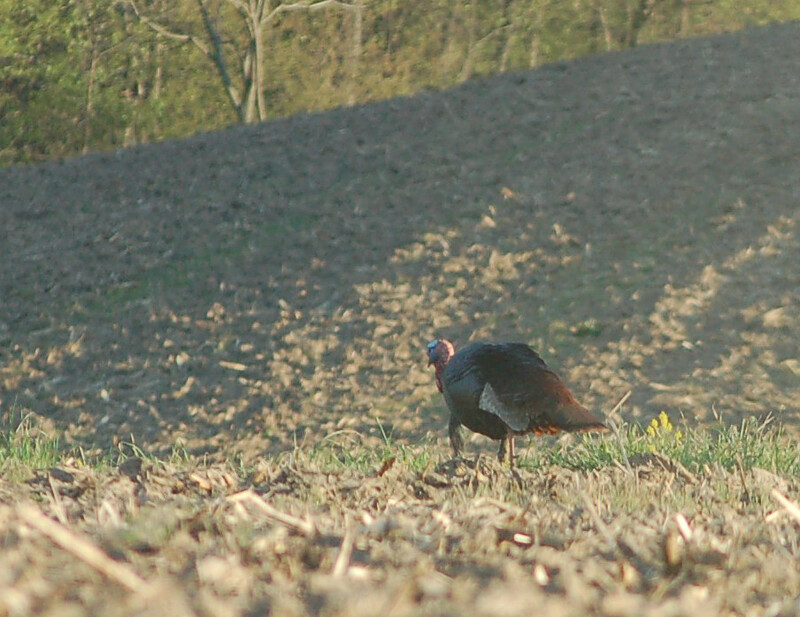 I walked up to a field and the gobbler was done talking. 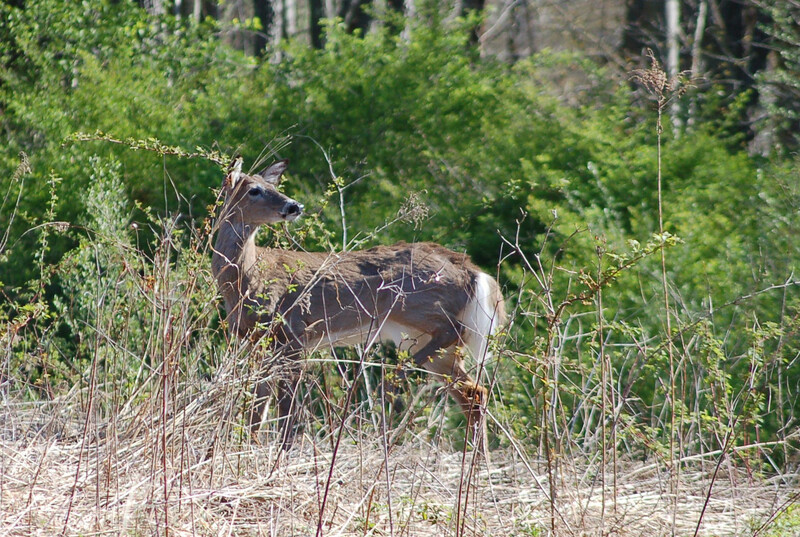 Soon, a button buck emerged from the thick multiflora rose brambles offering me a couple of photos. 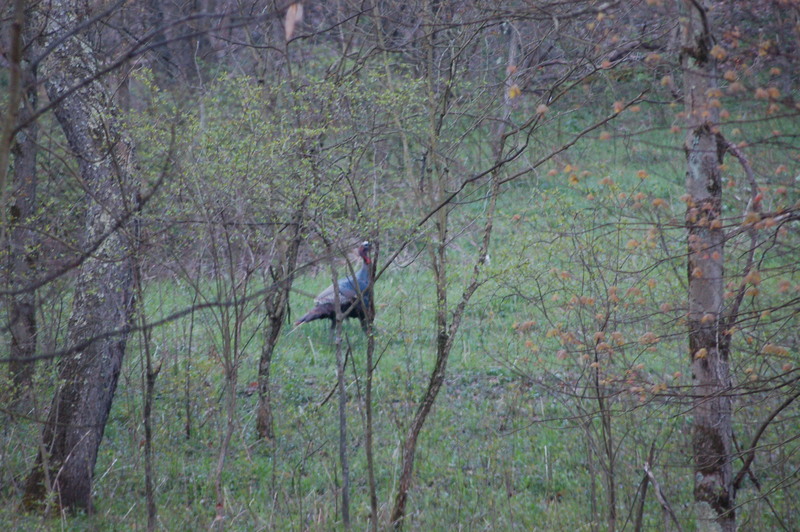 A hen turkey ran from the high grass while watching the deer. She became “unnerved” at my standing. If I would not have stopped to look at the deer, she would have allowed me to walk by. 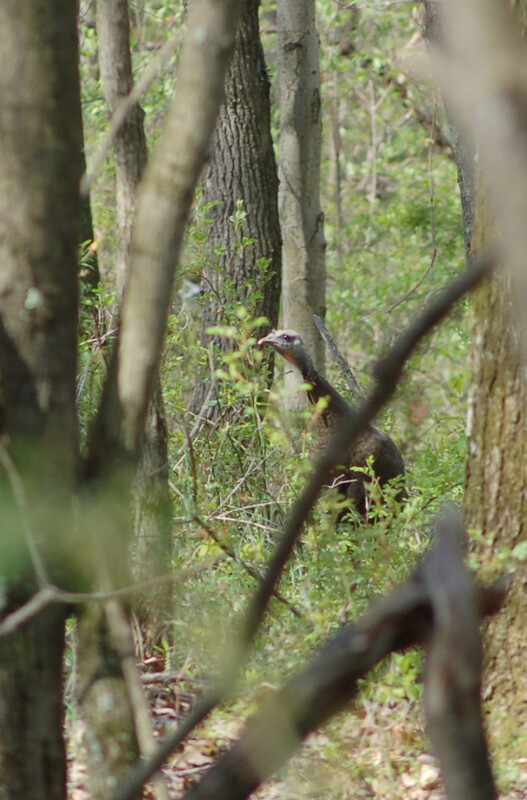 Ten minutes later while walking along a game land trail, I peered over a rise to see the full fan of a gobbler. 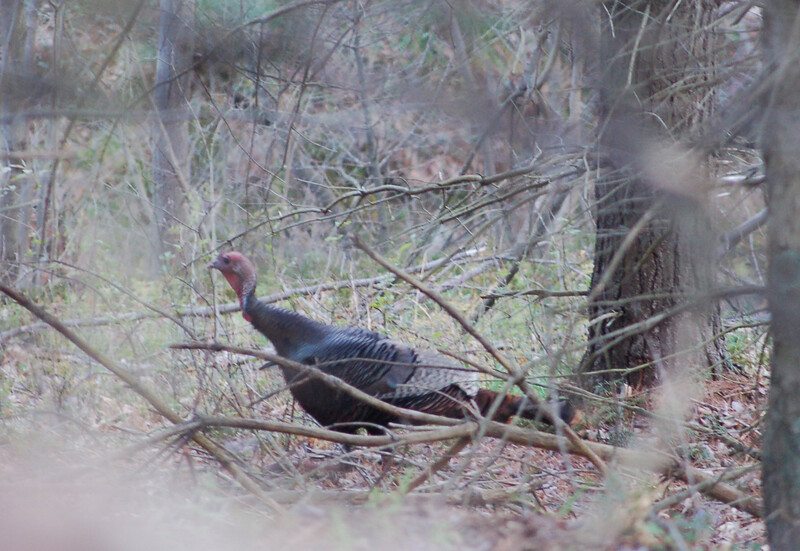 I hid and over the next half hour a managed several photos of the “big guy.” He was showing off to a hen. The hen could not have cared less over his strutting for she continued eating. 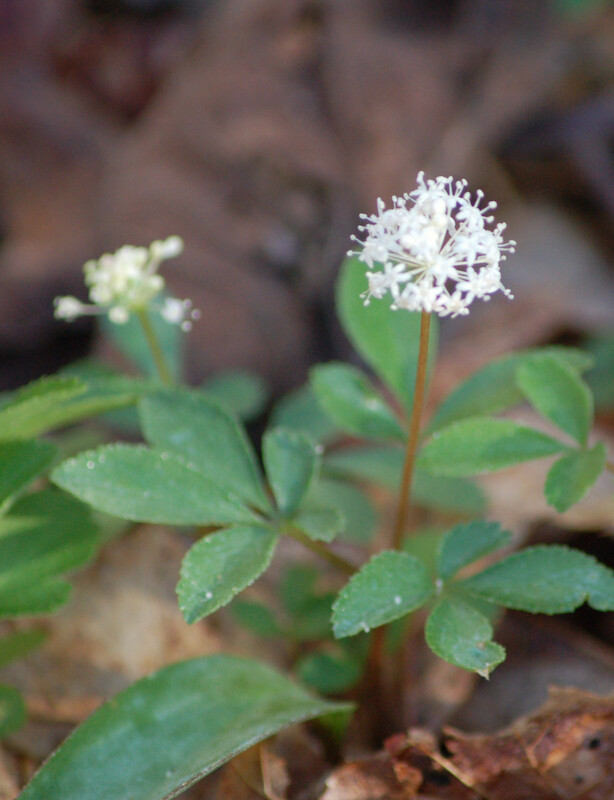 The photos were difficult to obtain due to foliage from the brambles. 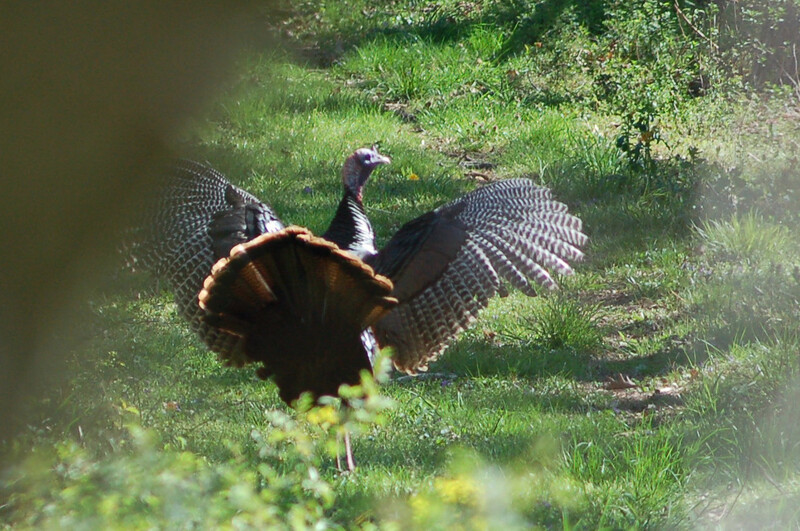 eventually, he allowed me a few shots as he exposed his heavy body away from the blurred leaves. 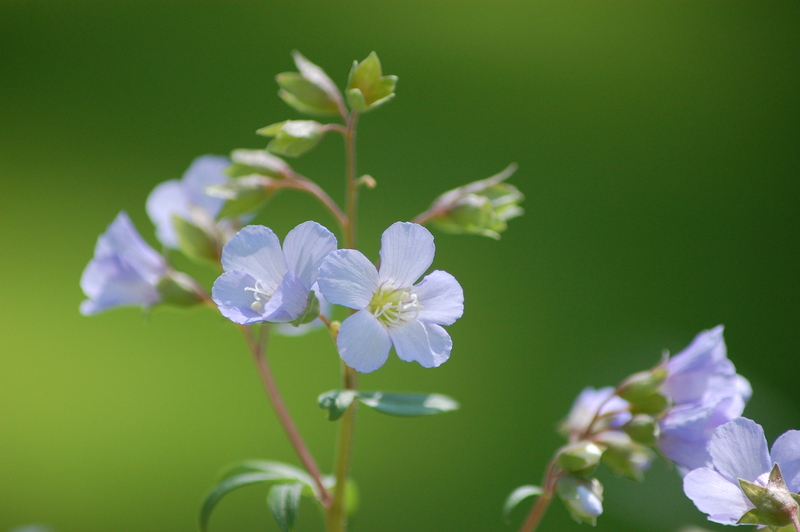 Yesterday, I spent time with family for Easter. 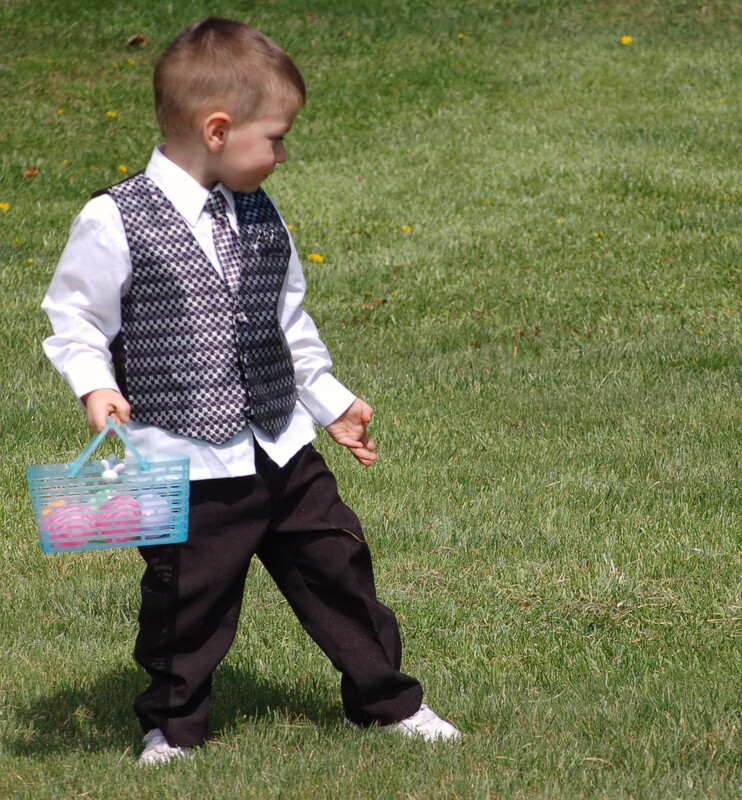 Little Kaison Wolfe had a great time as he easter Bunny hid eggs in the yard! he is the grandson of my sister Ruthie married to Tim Wolfe. 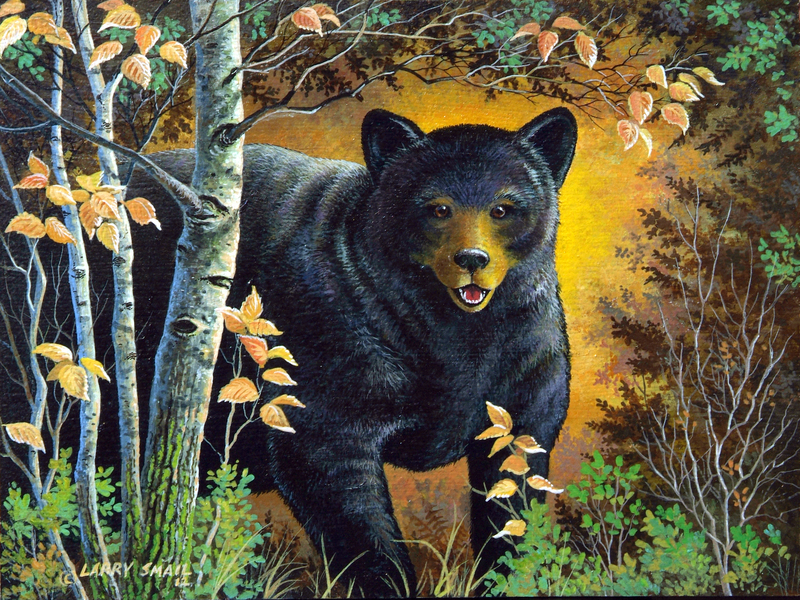 The painting entitled, “BIRCH BEAR” depicts a bruin peering through a birch setting. The art falls into the autumn season. Hope you like it! 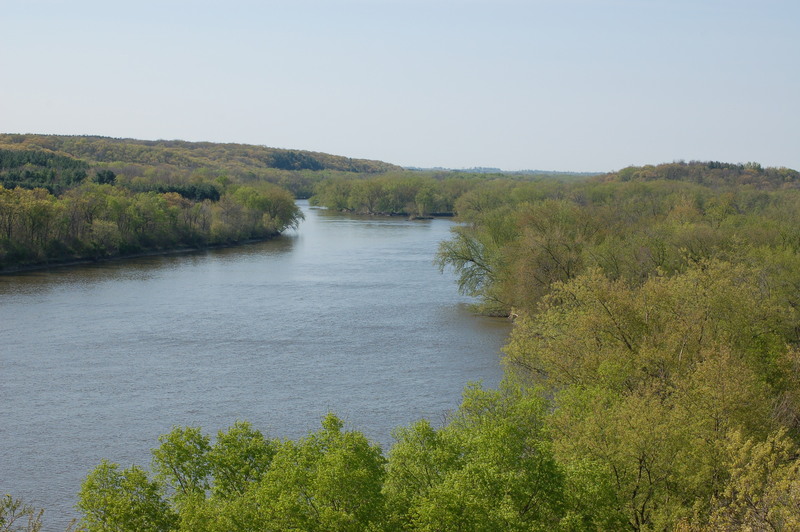 The Rock River area of Oregon, Illinois was a beautiful sight to behold. the river’s width is wider than the Allegheny River here in Kittanning, Pennsylvania. 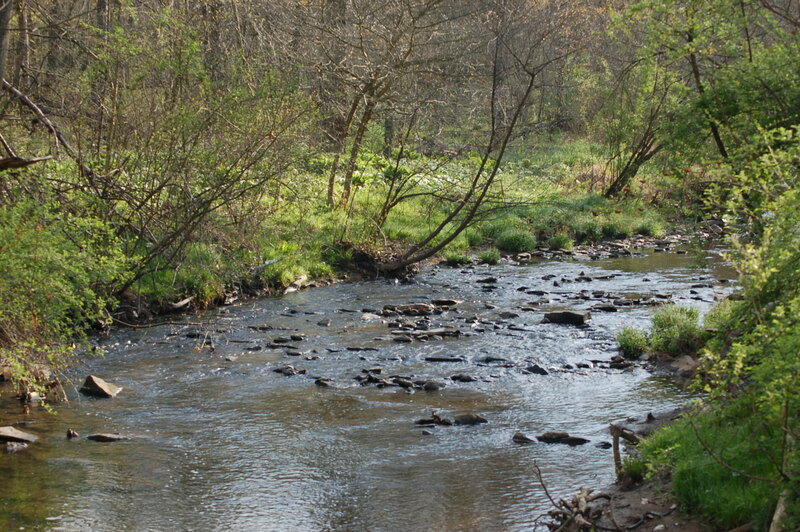 The overall depth is more in tune with a natural, free-flowing river. Plenty of islands, some of a large size, can be viewed . While I walked about the Lowden Park and White Rock Parks I could see many paired off Canada Geese. Some nests were discovered too. 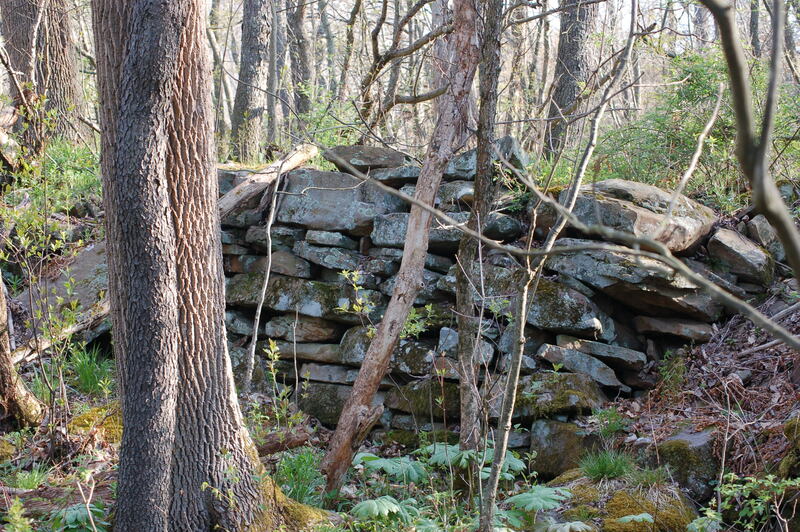 The Castle Rock Park area had high rocky outcrops. One had steps guesstimated to be over 500 feet in length to walk to the top viewing area. 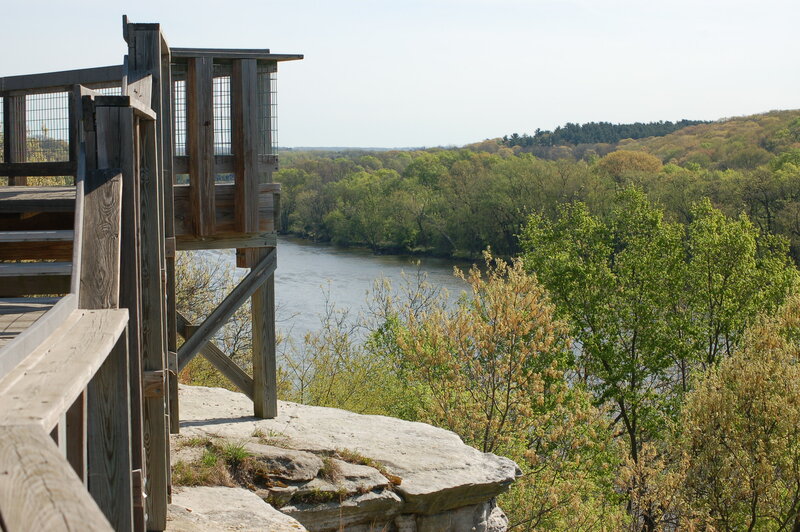 here you could look out in both directions of the Rock River. Many vultures were flying about. these rocky areas would provide outstanding nesting sites for the carrion-loving bird. I understand that “clamming” was popular in the rivers earlier history. Catfishing is still popular. North of Oregon, Illinois, on the eastern hillside stands a memorial reaching 48 feet 4 inches towards the sky. 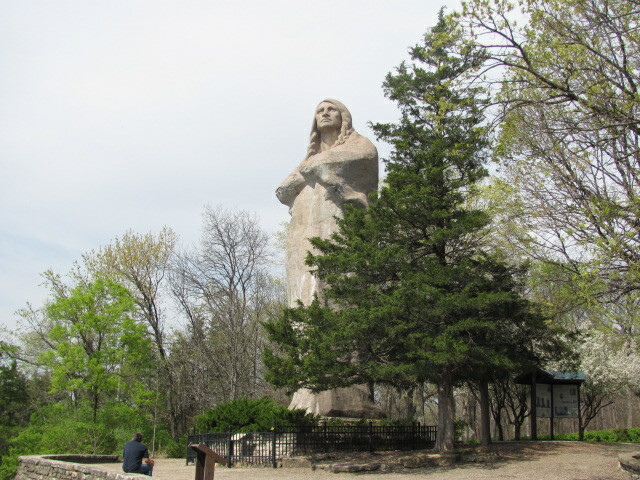 The monument built early in the last century depicts the War Chief, Black hawk. Black Hawk was leader of warriors of the Sauk and Fox Indian nations of that area. He led a short-lived rebellion against the white encroachments in 1832. Sadly, the limited resources always lead to the loss of native lands. The white war machine could be kept with supplies and manpower making Indian resistance doomed. this is and has been part of a negative history of America, but this is still our history. 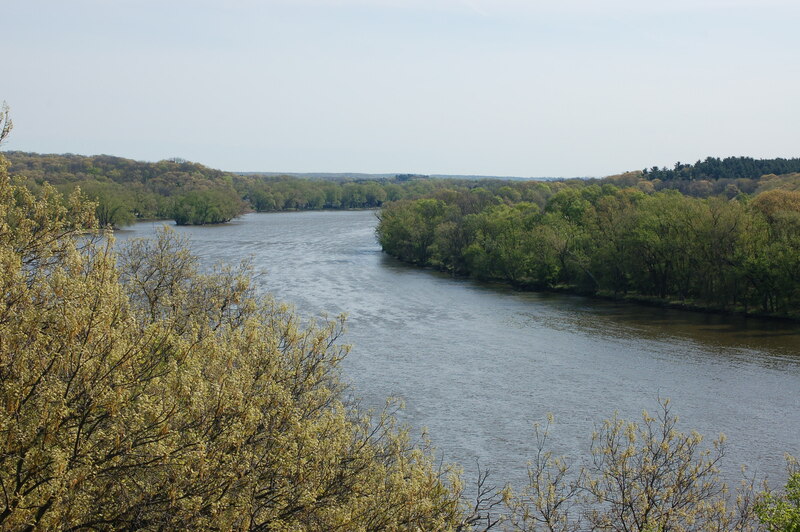 Visitors can stand at the memorial’s base and look upon the Rock River and see Oregon on the opposite bank. It is quite impressive to stand by and look about.